No super amazing updates this week but just wanted to check in and show ya a couple of new cards. Oh by the way, I am keeping the pink font again this week since its still October and still Breast Cancer Awareness month. If you haven't checked out the featured card this month, please do. 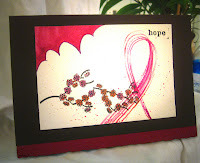 Remember $5.00 of every card will be donated straight back to Susan G Komen. I know money's been tight for everyone, so as much as I would like to encourage you all to pick up one of these hand painted cards, I understand if you can not. What I will ask though, is if you would please take 5 seconds and repost this on Facebook or retweet on Twitter. The more exposure we can get, the more money we an raise for a great charity. 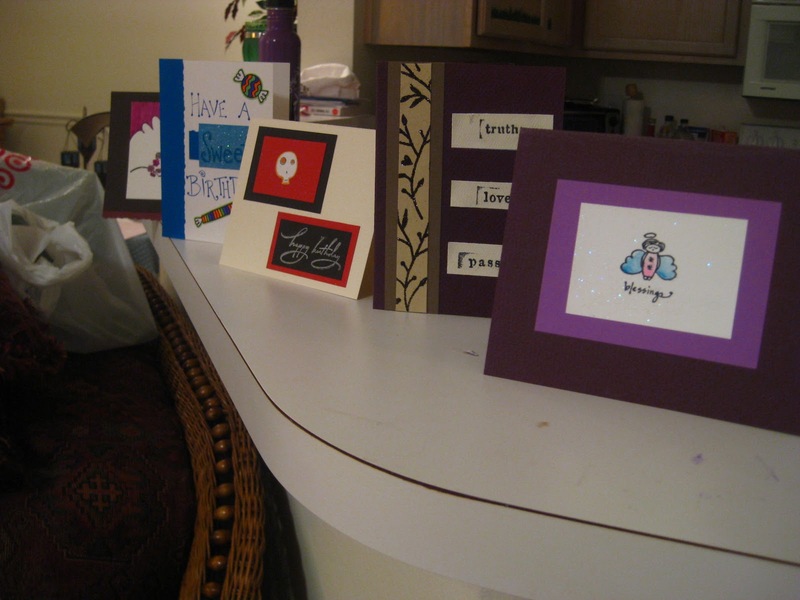 And hopefully a few extra smiles will be had when they get their new "A Shade of Hope" card. Last night I got a random burst of creative inspiration and popped out 4 new custom cards. This was for 2 birthday, a wedding, and a sympathy card. I felt like a Dr delivering babies, running from room to room trying to find the materials to build each of the cards. It was fun and refreshing! Hope you like them!